Explicit Episode 14: Project Poppa talks growing up in the Projects; SOB x RBE "Demon" Slang; & Scared Rappers! East Oakland rapper Project Poppa came through the studio for another episode of the 2 Hard 4 Radio Podcast with G Biz, Producer Max, & Nump. 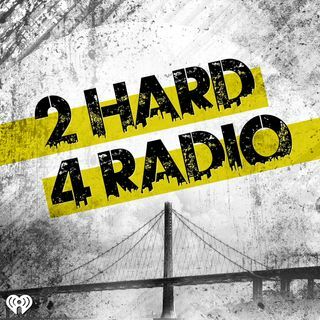 Rapper Project Poppa joins the 2 Hard 4 Radio Podcast with G Biz, Max & Nump! Project Poppa talked in depth about all the crazy sh*t he would see growing up in Oakland's Lockwood Gardens Projects (explains his name) AKA "6-5 Vill" (Village), which is one half of the "Vill." The other half of the "Vill" is the recently torn down 69th San Antonio Villas housing project, where infamous drug kingpin Felix Mitchell is from. And in true 2 Hard 4 Radio style, at the end of the Podcast, Project Poppa spit a crazy freestyle!